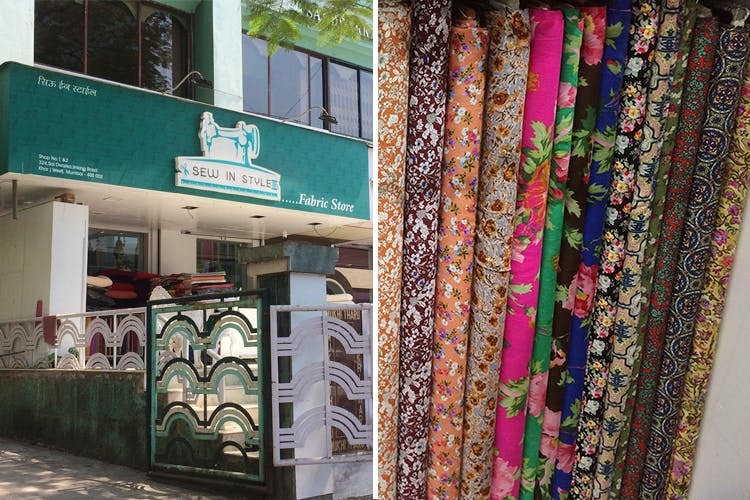 Linking Road is home to a shop called Sew In Style which offers beautiful prints for your next ethnic outing. Their strong suit is their variety. You’ll get everything from pretty Fab India-like prints for INR 250 a metre, plain chikan-style cloth and even jazzy, ethnic fabrics to help you get a lehenga stitched. We loved their blue-toned fabrics that’ll have you looking breezy this summer. They also stitch it in-house so you don’t have to step in the sweltering heat to look for a tailor. The stitching cost for a basic kurta will cost you starting INR 1,000 and if you wish to get a salwar kameez to keep the heat at bay, you can get it stitched for INR 1,500. Even if the stitching costs may seem a little expensive, go here for their prints. Specially if you’re not in the mood to travel to Dadar. Also, use them for upholstering that old chair or sofa?